We are heading to Afton, Virginia for this episode of Crystal Palate’s Wine Country. Tim Gorman, winemaker and vineyard manager with Cardinal Point Vineyard & Winery shares his family’s journey of winemaking in the Commonwealth. For the Gorman’s, Cardinal Point has always been a family affair. While stationed abroad, Tim’s parents developed a deep respect and love for German Riesling. The family’s time in Europe served as the inspiration for the family vineyard in the foothills of the Blue Ridge Mountains. The first vines were planted at Cardinal Point 30 years ago. What started out as a few acres in the mid 80’s has turned into a thriving business for the Gorman’s. Cardinal Point now has 15 acres of vinifera vines on the farm in Afton and a vibrant tasting room. 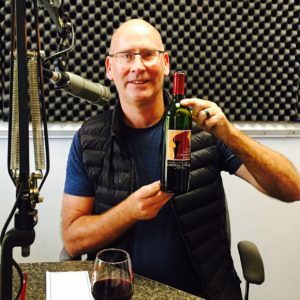 On the show, Tim shares his family’s winemaking journey, the risks and rewards of growing wine in Virginia and how spending time in Europe as a child was instrumental in his appreciation of great wine and great food. Plus, we are opening up Tim’s award-winning 2014 Clay Hill Cabernet Franc. This vintage was part of the 2016 Virginia Governor’s Cup case. Find out Tim’s favorite pairing with Cab Franc and some other great wines that deserve a place at your dinner table. Tasting Room: Open daily from 11:00 a.m. to 5:30 p.m.